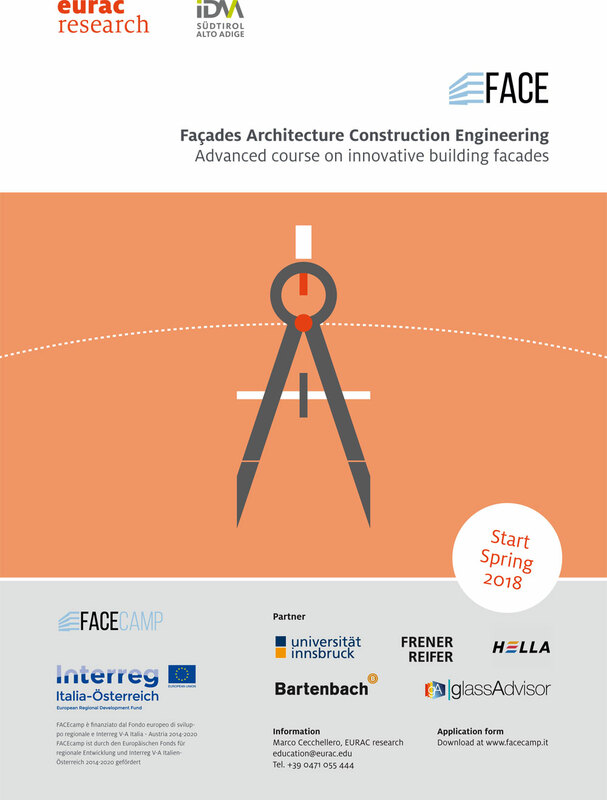 Interreg Italy-Austria FACEcamp project offers a training course aimed at increasing the know-how of companies and freelance professionals operating in the field of complex technological building façades. The course aims to transfer to freelance professionals and technical staff of construction companies, concepts and innovative methods in the sector of complex technological façades. The educational program has a complete structure regarding the covered topics, to provide innovative concepts, tools, and methods, while stimulating the growth of local skills in the construction sector, increasingly subject to environmental and energy regulations and severely affected by the global economic crisis.